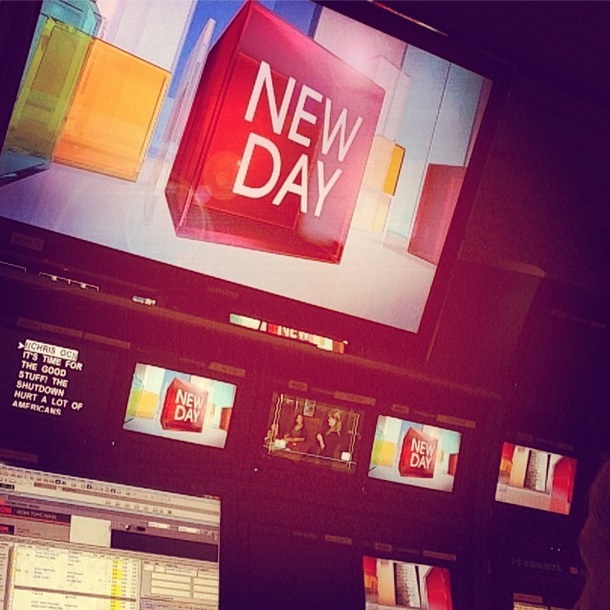 "New Day" Wrap Up – 10/18/13 – It's Friday!! The Government Shutdown is Over... Now What? It started when a snorkeler came across an 18-ft creature that is likely an example of what ancient mariners call sea serpents, CNN's Casey Wian reports. Normally found only in the deep ocean, this oarfish was in just 15 feet of water off Catalina Island. Two days later, this bizarre looking mammal washed ashore across the channel on Venice beach. It's believed to be a rare saber tooth stejneger's beaked whale. It's usually found in much colder waters, and is almost unheard of in Southern California. Manhattan Beach surfers are used to seeing Great White sharks also, but not the amount that have been showing up. So what's going on here? The trial of a prominent Utah doctor is underway. Martin MacNeill is charged with murdering his own wide. During the opening statements on Thursday,prosecutors painted him as a liar who ruthlessly gave his wife a lethal cocktail of drugs... so he could be with his mistress. Listening to President Obama chatting with the Italian Prime Minister, it sounded as if he was ready for a vacation in Tuscany, CNN's Jim Acosta reports. But the President has no room on his plate for pasta, not when he's set his sights on passing a new budget, immigration reform, and even a farm bill... in less than 90 days. It is a task the president may have made more difficult for himself after railing against the Tea Party over the shutdown. However, he may get help from Senate minority leader Mitch McConnell who told the Hill newspaper that "there will not be a government shutdown... I think we have fully now acquainted our new members with what a losing strategy that is." The President could also have a fight on his hands over his next pick for Secretary of Homeland Security. Jeh Johnson, a former military lawyer and Obama campaign fundraiser, said at a conference earlier this year that the day will come when the US must declare the war against Al Qaeda over.